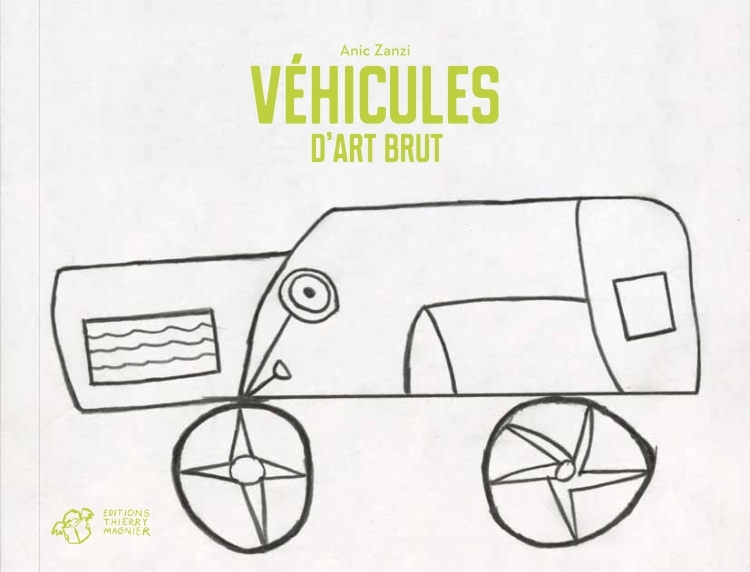 Véhicules d'Art Brut, Paris, Editions Thierry Magnier,2013, 21 x 16 cm, 32 pages. This book for young children is full of cars, planes, trucks, rockets and bicycles different from all the rest. A theme so popular with children is a good way to introduce children to Art Brut: they are called upon to find, decipher, count and recognize each work... Such a playful approach affords them pleasure, rendering the works more accessible than one might think.